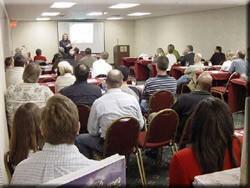 If you’ve read some of my previous posts, you know how fond I am of real estate investor club meetings. But in case you cared, I thought I’d share some tips on how I maximize my time at these meetings when I’m there. Want to grow your real estate Rolodex? Get to your local REIA meeting. In my opinion, real estate is an industry where the size of your network can directly affect the amount of money you can make. What do I mean? Well, the more deals you come across, the better your chances are that you’ll come across a deal you’ll be able to make money off of. Consistently building a network of real estate professionals and investors that you’re “cool with” is a huge way to set yourself up to get leads on deals. For example, let’s say you’re a wholesaler, and you’re going to the REIA meeting tonight. At this meeting, you meet a few seasoned real estate investors/landlords that want to get rid of some of their inventory; at prices that just so happen to meet what your buyers want. It’s vital that you understand the power of growing your network in this business. At REIA meetings, everybody’s there for the same reasons, which are to learn and/or network with the other real estate investors and professionals in the room. I love this about REIA meetings. Why? Because this understanding allows you to “cut through the bullcrap” and get right to business. You don’t have to schmooze, and beat around the bush at these meetings. All you have to do is just be yourself. Lying about your success in real estate is an easy way to start your career off on the wrong foot. Now don’t misunderstand what I’m saying, and show up being offensive and solicit every person you meet like a door-to-door salesman. Just “act like you got some sense,” like your mother used to say. Fake it ’till you make it… With Caution. – Let’s be honest, here. Most of us not only want to be successful, but most of us want “other people” to know or think we’re successful, too. That’s fine, that’s called being human, in my opinion. But when it comes to “faking it ’till you make it,” you’d be best served to interpret that as meaning that you carry yourself with a positive and confident attitude; similar to the attitude someone with more success in real estate than you would likely have at this point. 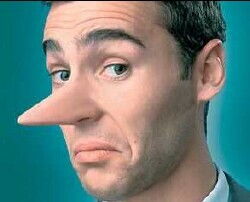 It doesn’t mean that you lie about your real estate business. In life, and especially in real estate, people can sniff-out a faker. In real estate, it can cost you big time if you develop a reputation for being dishonest. You gotta understand that in the eyes of other real estate investors and professionals, it’s less about the “experience” you have, and more about the “deal” you have. If you can help someone else make money, they’re going to work with you. That is, unless you give them a reason not to. And the number one way to get a bad reputation in this business is by being someone people can’t trust. Check back for part two, where we’ll finish up on this topic.